The term “think tank” was first used by the military during World War II (Abelson, 2002; Rich, 2004; Smith, 1991). The term was used to refer to a type of secure environment where military planners could have discussions about strategy (Abelson, 2002). Currently, in mainstream society, think tanks are now associated with a type of nonacademic institute where the brightest minds are gathered together to address societies most pressing social, economic, and political problems (Abelson, 2002). 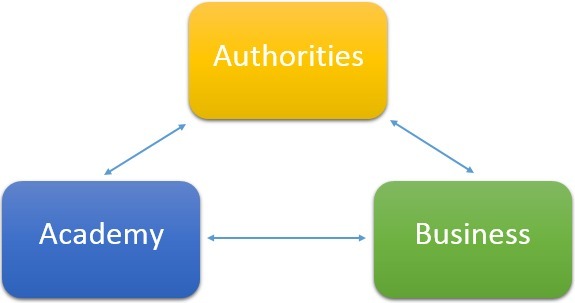 The concept has been prompted by the pressing need for generating interdisciplinary thinking and acting synergy between research scholars, practicing industry executives, content providers, and decision makers who share a strong interest in the topics of Information Society, Knowledge Economy, and Higher Education Models based on interactions within and between humans and information systems. Think Tank LT provides strategic advice, project management, practical consultations and trainings on the scope, coverage and implementation strategy of the Information Society, Knowledge Economy, eGovernment and eDemocracy Programmes in the context of the trends occurring on the Information and Communications Technology world scene.